Promoter Tshele Kometsi intends to go the legal route to force them to order a rematch between his charge Innocent “Tycoon” Mantengu and Thato “Captain Charisma” Bonokoane for the vacant South African junior feat weight belt. They fought in Kagiso on Saturday night and their bout was wrongly declared a draw which was disregard for the South African Boxing Act 2001 (Act No. 11 of 2001). Pumeza Zinakile voted Mantengu as the winner with her score of 116-112 and Simon Mokadi scored it 116-112 for Bonokoane while Jaap van Niewenhuizen scored it a draw at 114-114. In terms of the act‚ in a championship fight for a vacant title‚ if a bout ends in a draw – each judge shall nominate a winner and the winner of the bout shall be the boxer nominated as the winner by the majority vote of the judges. That simply means that Boxing SA manager Archie Nyingwa‚ who was fight supervisor‚ should have given the scorecards back to all the judges to nominate the winner. That bout‚ which headlined Team Dida Promotions bill at Kagiso Memorial Centre‚ was sanctioned on the provision that the winner will defend against Ayabonga “Jay Jay” Sonjica. 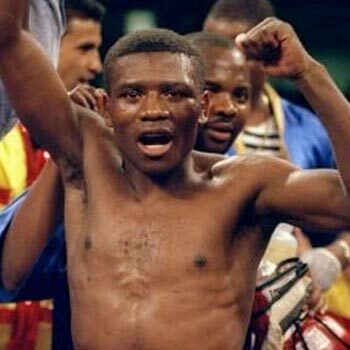 Already a promoter in the East London – Sonjica’s home – said he would also be writing a letter to Boxing SA regarding his boxer’s deserved opportunity to challenge for the belt that was relinquished by Ludumo “9mm” Lamati. “I hear that promoter TK (Kometsi) wants his boy to be given the second chance. I don’t have a problem with that. It is within his boxer’s rights because Boxing SA blundered but I cannot fold my arms and allow that to stifle my boxer’s career. He‚ too‚ must challenge for that title which means we may have to go to court‚” he said. On the other hand‚ it is unclear what is trainer Pius Dipheko going to say regarding his boxer – Bonokoane – who also deserves to be given the second chance to fight for the same title. The truth is Boxing SA should shoulder blame for what happened because Nyingwa works for it and the question is what next. In fact what happened in the vacant SA junior featherweight belt was the second on the night. The first was the vacant Gauteng junior middleweight fight between Linda “Gentle Beast” Ntshingila and Brandon “Fast Guns” Thysse. Judges Ben Ncapayi scored the fight 96-94 and Zinakile scored it 97-93 for Thysse while Mokadi declared it a draw at 95-95. There too‚ Nyingwa was supposed to do what he should have done with the SA title so that the judges nominate the winner. The purpose of staging a vacant title is that someone has to win it. Also‚ which is very important‚ the act is binding no matter what one can try and explain. A source revealed that promoter Andre Thysse – who is the father to Brandon – also intends to go the legal route to force Boxing SA to order a rematch between his son and Ntshingila. Brandon is trained by Damien Durandt while Dipheko hones the skills of Ntshingila. Nonetheless the tournament was impressive‚ credit to matchmaker Abbey Mnisi – whose bouts had fans on the edge of their seats from start to finish except for one bout – a junior middleweight which was scheduled for four rounds between Shavontigh Koopman and Francis Matika. Matika from Mpumalanga did not even attempt to throw a punch and instead meekly went down from a powered puff blow in the first round. Matika does not deserve even a cent of his purse money. Anthony Grobler and Zimisele Magagula were disadvantaged by the slippery of their boots and eventually had to take off their boxing boots and fought bare foot. Grobler won the fight by four rounds by a split points decision. The tournament was graced by the likes of Gauteng sports and recreation MEC Faith Mazibuko‚ football legends Jimmy Tau and Joseph “Dukuduku” Makhanya. Other results: Junior-featherweight: Cain Dube‚ beat Sabelo Mazibuko‚ pts 4; Lightweight: Tiisetso Padi‚ beat Khumbudzo Bandatswana‚ tko 2; Lightweight: Khaya Busakwe beat Emmanuel Mhlongo‚ tko 4; Junior-welterweight: Marcus Lebogo beat Humbulani Netshamutshedzi pts 6.